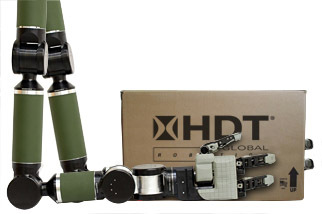 HDT’s Adroit® manipulator arms are unique. They closely match the dexterity, strength, and speed of a human arm. 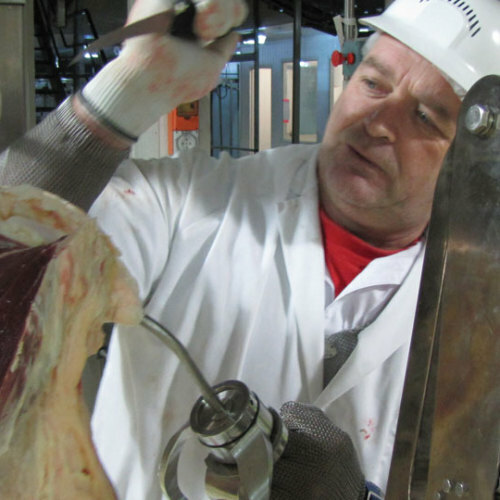 Designed to work closely with people – using force sensing in every joint and impedance control to create active compliance, Adroit arms can work in commercial settings alongside people, without the robot being locked up in a caged work cell. For Manufacturing and Maintenance Operations in confined spaces, the near human-like scale of a standard HDT Adroit arm makes using robots practical for the first time. HDT’s powerful small arms excel in very tight spaces. Typical manufacturing robots weigh hundreds of pounds and are extremely dangerous to be around. Conversely, an HDT Adroit single-arm manipulator weighs approximately 15 lbs (6.8 kg) and is inherently safe in interacting with people. 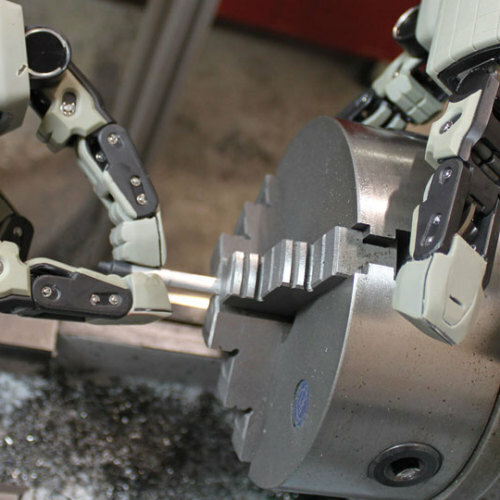 HDT’s dual-arm Adroit systems can perform many tasks just like a human worker.